Will Fax Machines Work With VOIP? In an age where the internet has taken over almost every facet of our lives, one may easily forget that fax technology is still very relevant. That especially holds true for heavily regulated industries such as government, healthcare and finance, that still rely on fax technology. 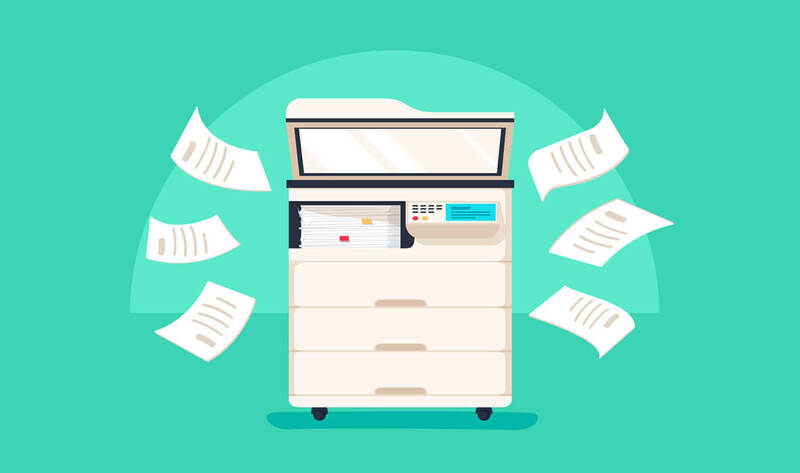 However, as fax machines become less common, people with only occasional fax needs have started to turn to internet and app-based faxing and fax to email technology to send, receive, and store their faxes. These technologies include VoIP and PSTN. Voice over Internet Protocol or VoIP aka IP telephony is the general term given to technology for the delivery of voice and multimedia communication sessions over Internet Protocol (IP networks) i.e. the internet. Some examples of VoIP communications are WhatsApp, Skype or Viber, which utilize WiFi or mobile data to enable users to send messages or make calls. Can Faxes Be Sent Over VOIP? Short answer, yes. But it’s not especially reliable, and therefore not advisable if you want to be confident that your fax will be delivered. To understand the limitations of faxes being sent over VoIP it first helps to understand how fax machines work. In a nutshell, facsimile machines transmit images or documents over analogue networks to a receiving machine. The receiving machine then interprets this message and prints out a copy of the scanned document. Traditionally, fax machines were designed to use analogue networks as a means to transmit data. As they utilize the older T.30 protocol, older fax machines were not designed to transmit information over VoIP networks. This is because fax data cannot be compressed. So VoIP transmissions for fax work by digitizing your voice and transmitting this information via “packets,” which are then reassembled and converted back into analogue sound. However, fax transmissions are sensitive to packet delays and loss. So not all of the fax packets are able to be reassembled. Hence, the missing information cannot be read by the receiving fax machine. When this occurs, your fax will fail to send. Fortunately, most newer fax machines utilize a newer T.38 protocol. The gateway works by taking your fax machine’s signal and converting it into an internet compatible one, rather than first digitizing it into an audio signal. As a result, these machines can more reliably receive faxes sent over VoIP. Not only is PTSN a comprehensive connection of telephone, fiber optic, cellular, satellite, and even undersea networks, the lines conform to how fax data is intended to be transmitted. Therefore, more than 99% of faxes are delivered and received. FaxBurner is an internet fax service provider that provides users with a fax number (disposable or permanent), and a simple way to send and receive faxes via email, internet, and smartphone. The service has both free and paid options to fit different needs. Sent and received faxes are stored in the cloud for convenience and organization. Included is a fax-to-email service, in which a copy of each fax is emailed as a handy PDF as well as stored in your online account. The mobile app, available on both iOS and Android, allows you to send faxes using your smartphone’s camera, and sign and notate wherever life or work takes you. Faxes can be sent over VoIP. However, it is not the intended transmission method for faxing, which is why it often doesn’t work. However, technology is available to facilitate fast, easy, and convenient fax transmission without a fax machine. FaxBurner is a top choice, using a PSTN network that is intended for faxing, and fully able to send and receive faxes over the internet.